Like the previous Cats Purring tape, Ecstatic Eyes also begins with a selection picked from 8 discs of field recordings collected by Art Rosenbaum. In a small group of ten and unaware of his musicological background, I studied the life and work of Jackson Pollock under Dr. Rosenbaum at The University of Georgia in 2003. 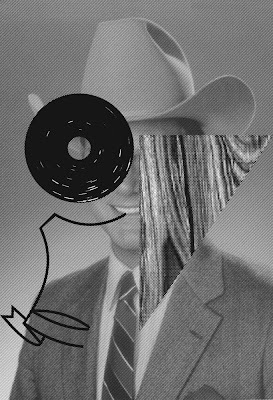 I was pleasantly surprised when in 2007, Dust-to-Digital went on to release over 50 years of music that he documented throughout the states. With the DIY publication's 3rd release just around the corner, the long out-of-print KITTY SNACKS #1 is now available for free download HERE. Literature by JACK PENDARVIS and SAM PINK! Interviews with KING KHAN and Geologist of ANIMAL COLLECTIVE! Oh, and that ultra cute cover art is by our friend and frequent collaborator WILL BRYANT. 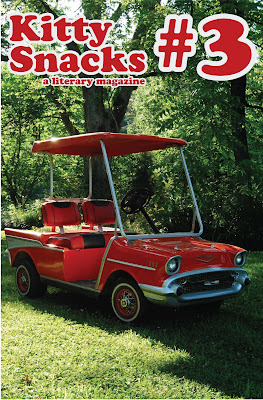 Meanwhile, the greatest lit blog in the land HTML GIANT is hosting a Kitty Snacks "guest post," a conversation between John Brandon and Mary Miller, two of our favorite writers with Mississippi connections. Check that out HERE. 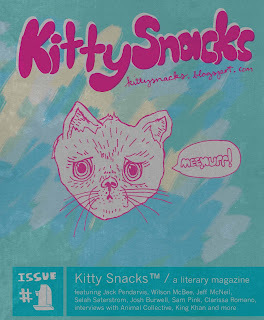 After the jump, take a peek at the line-up for the highly anticipated, sure-to-dazzle KITTY SNACKS #3.